Recently I had gone through the article published by Mr Manoj Nair, Associate editor Gulfnews and very informative and worth publishing. Dubai: Unless you are an eternal optimist, don’t put your hopes up too high of receiving a salary hike any time this year. UAE businesses — and their counterparts across the Gulf — are going through a painful period of readjustment to try and stay afloat at a time of mounting economic uncertainty. Some of these businesses have already gone some way in paring down their workforce in line with market realities. Leading banks in the UAE have confirmed such moves, letting off staffers in the hundreds. But there are other sectors — and businesses within them — that too have gone through with their own restructuring exercises, but without any sort of public announcements made about them. Not surprisingly, those in construction have had large-scale culls, given the sharp decline in new project releases. The energy sector has already experienced a round of workforce rationalisation in the second half of 2015. There is anecdotal evidence of the regional operations of tech majors having initiated a policy of no new recruitments unless absolutely necessary. The FMCG (fast moving consumer goods) players too are adopting a play-it-safe approach. Across sectors, businesses — those occupying the small and medium enterprise space — in the UAE are now facing up to a layoff hangover. 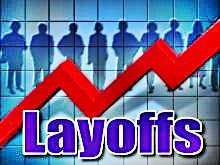 And the layoffs are no limited in any way to the mid- and entry levels. “Companies, in response to slower market activity, are doing workforce optimisations across the board, some even starting at the top layers where cost savings are obviously greater,” said Nuno Gomes, Mercer’s Information Solutions Leader for the Middle East. “In multinational organisations for example, this passes by centralising at the headquarters or regional headquarters’ level certain services that were otherwise provided on a local basis. “At this point, all indicators lead towards a more restrictive 2016 than observed in the second half of 2015. From the insight we have of the market up to this point, it seems to be concentrated in particular industries, mostly in banking and energy sectors, but also in semi-government organisations where funding is being reduced. Also, with oil price being where it is, the Gulf’s government entities have also not been immune to the need for workforce rationalisation. “Recruitment budgets are not being approved as fast as one would like to see,” said Dr. Markus Wiesner, CEO at the consultancy AON Hewitt’s Middle East operations. “Instead, more emphasis is being placed on identifying efficiencies in the workplace to get more value from the current workforce — a trend that is more prevalent within the private sector. All those layoffs are leading to a situation where for each potential vacancy at an organisation, the numbers of candidates with more or less the same skill sets presenting their CVs for consideration have shot up. These positions are not just being fought over by those within the UAE — HR offices are sifting through emails from applicants from across the Gulf looking for a “suitable relocation opportunity”. Also keep in mind that the “GCC in spite of being hit by low oil prices is still better off than several countries in Europe and elsewhere,” according to Dr. Wiesner, and which means there will be no let in hopeful candidates seeking opportunities from those territories. Those unfortunate enough to be laid off find fewer replacement opportunities emerging out of the job pipeline. In parallel, the months between jobs have started to widen. For those still with a job, it is time to set their sights lower. Employers are less likely to splurge on incentives at a time when they have no clear idea as to what sort of revenue growth they can expect this year. “Stock markets opened 2016 in strong decline, the oil price continues to beat long-time record lows, and widespread government spending cuts are announced across the GCC,” said Gomes. “All these indicators raise organisations’ concerns about the success of their business in 2016. Obviously limiting cost increases becomes a necessity to minimise risks. Amid a general tightness in the UAE and Gulf’s recruitment space, firms specialising in taking on outsourced services could still have it their way. When it comes to redundancies, energy companies has had to go through most of the course correction, there has been a shrinking of the workforce in the “retail, travel, recruitment and advertising sectors,” said McGuire. There will be always be some lucky ones.